INDIANAPOLIS, Ind. and WEST LAFAYETTE, Ind. 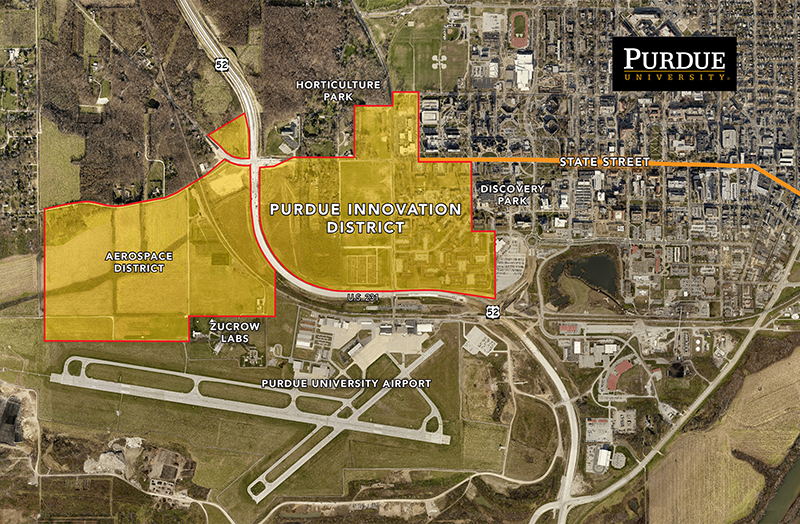 - Purdue Research Foundation and Browning Investments LLC, announced today a partnership to develop approximately 450 acres at the west end of the Purdue University campus called the Discovery Park District. Development will total several million square feet with total investment in excess of $1 billion. 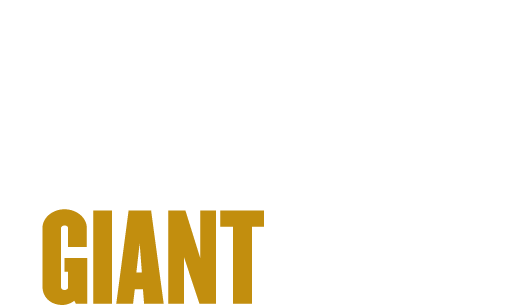 Browning and Purdue Research Foundation have come together to build a preeminent environment for educational, economic, cultural, community and real estate development with a long-term plan and vision. Browning will lead a comprehensive master planning effort that will take place over several months and produce a design for streets, land use, infrastructure, and open spaces that serves as a road map for future development. The full plan will include student housing; non-student residential; hospitality; lab, research and other collaboration spaces; office; discovery and entrepreneurial spaces; retail; public spaces; and aerospace industry-focused research, advanced manufacturing and light industrial space. The development project is in large part due to the history of collaboration among Purdue, Browning, and West Lafayette, and will complement other initiatives already taking place on the west side of campus including the State Street Redevelopment Project, Horticulture Park, Todd's Creek relocation, New recreational fields, Purdue Child Care Center and the Rolls-Royce facility at the Purdue Research Park Aerospace District. "If residential higher ed is going to retain its appeal to the best faculty and students, it will have to offer attractive settings for living, recreation and successful business neighbors,” said Purdue President Mitch Daniels. “We don’t know of a comparable town-gown collaboration like ours along State Street, which we hope with the adjoining innovation district will provide the foundation for a next era of growth and prominence for Purdue." With nearly 50 percent of Purdue undergraduate students living on campus, Purdue's on-campus housing is experiencing a 17-year high. It is anticipated that number will increase in the coming academic year. Purdue data show that students who live on campus are more likely to graduate in four years, stay in school at a higher rate than their off-campus peers, earn better grades and are more likely to have leadership opportunities, according to Mike Shettle, Purdue University Residences director of administration. The Discovery Park District will support Purdue's long-term enhancement and improved quality-of-life goals. "We are working to support Purdue's mission including the support of research, innovation, economic development and community development by linking faculty, staff, students, visitors and area residents," said Brian Edelman, Purdue Research Foundation COO. "But this is a full university and community effort as there are many, many individuals and entities working together to create a place where world-changing ideas become reality. The State Street Redevelopment Project, Horticulture Park, Aerospace District and now Discovery Park District will do more than construct buildings, vibrant thoroughfares and development spaces. The researchers, students, staff, community members and private industry groups will work together to test new lifestyle and collaboration models of the future." Interest in developing areas around university campuses has increased in the past decade. "Districts surrounding university campuses have always been viewed as lively places for students, but they are now recognized as key areas where students and community members can fully enjoy the experience of living near an academic environment," said Michael B. Cline, Purdue University vice president for physical facilities. "The entire look and feel of the Purdue campus will benefit from this and other new initiatives." Enabled largely by the State Street project, development of the Discovery Park District is expected to begin late this year or early 2017. "With the opening of U.S. 231 around the west side of West Lafayette and the State Street Redevelopment Project, the west side of our city has become an important entry to Purdue and the city of West Lafayette," said John Dennis, mayor of West Lafayette. "The Discovery Park District stands to offer the world what Town and Gown truly can mean: a social gathering place for entertainment, living and commerce that spans generations, occupation and orientation." It is anticipated that the impact of the planned district will go well beyond the area. Jeff Kanable, director of the Discovery Park District, said Indianapolis-based Browning was chosen because of its expertise in long-term development projects. "Browning has a strong history in funding, creating, and executing comprehensive plans for major long-term projects," Kanable said. "We are confident in their leadership in the development of the Discovery Park District as well as the Research Park Aerospace District." Founded in 1977, Browning remains one of the premier development companies in Indianapolis and is engaged in the acquisition, development, construction, leasing, management, ownership and disposition of investment real estate properties, primarily in the Indianapolis metropolitan area. In total, Browning has developed and constructed more than 22 million square feet of space. To learn more, visit: www.browninginvestments.com.